Physical Workout: If you are making best efforts to lose belly fat then there is no point in ruling out physical exercises. Physical workout plays a vital role in your body not only to reduce your belly fat, but also helps in controlling your overall body weight. It also helps you in leading a healthier lifestyle. Some of the best physical workouts that help in burning belly fat effectively are cardiovascular workouts such as cycling, jogging, and other aerobic exercises. Workout before breakfast: The best time for performing physical workouts is before breakfast. Your body needs to burn unwanted fat, and working out before your first meal of the day is the ideal way to get rid of belly fat. You can opt for exercises like swimming, cycling as well as running for thirty minutes for best results. Fat burning foods: There are certain fat burning foods that help to shed belly fat . Some of the most effective fat burning foods include skimmed milk, egg white, brown rice, whole grains, lean meat, dark chocolates, avocados and many more. Similarly, there are certain foods such as pizzas, burgers, deep fried foods, sweets and so on that contributes towards weight gain. 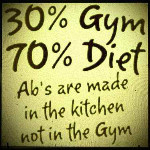 Therefore, you must stick to fat burning foods and avoid the others. Never Skip Breakfast: Breakfast is considered to be the most important meal of the day. You should never avoid having breakfast as it only slows down your metabolism. Consuming a healthy breakfast after a long gap results in boosting your metabolism. Therefore, skipping breakfast is not recommended. Drink Adequate Water: Your body should stay hydrated and therefore drinking water is very essential. Water helps in increasing your metabolism as the toxins from the body gets flushed out resulting in fat loss. You tend to burn more calories when you drink at least 8 to 10 glasses of water during the day. Sleep: Sleeping is indeed the sweetest thing to do. It is not only the sweetest, but the most effective thing for losing belly fat. Getting 8 hours of sleep will help in increasing your energy levels and also boosts your metabolism. As a result, your body becomes more active and fit to perform workouts and eat well. These are some of the natural ways that helps in eliminating body fat, especially the abdominal area. You need to perform regular workouts and eat right in order to maintain a healthy and perfect body with a flat belly for life. Author Bio: Marguerite being a fitness enthusiast loves to blog on fitness and topics related to fitness. You can check out her latest post on how to lose lower belly fat on her website.